The 93 residential sales in December 2016 represent an increase in volume of 6.9% when compared to the figure for December 2015. The average sale price in December climbed to $647,200. When compared to the same figure one year ago, this represents a 19.3% increase and a gain of over $100,000. 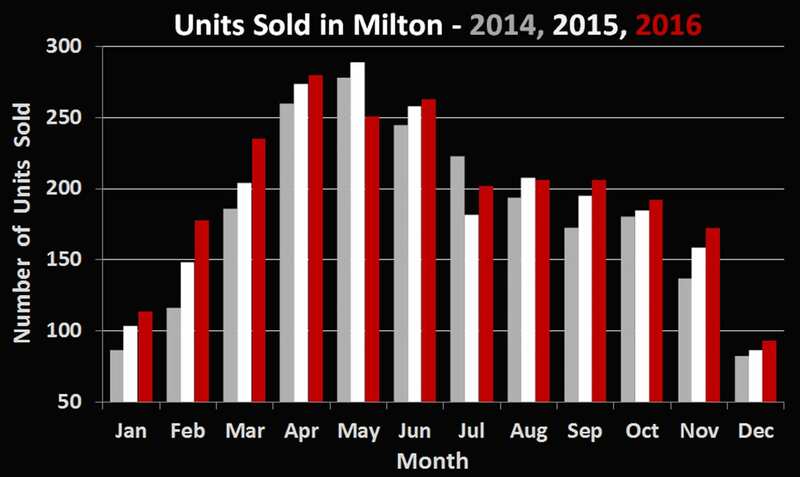 As is typical in real estate here in Ontario, December was our least active month in volume, however several bidding wars served to keep prices at the highest levels seen this year. 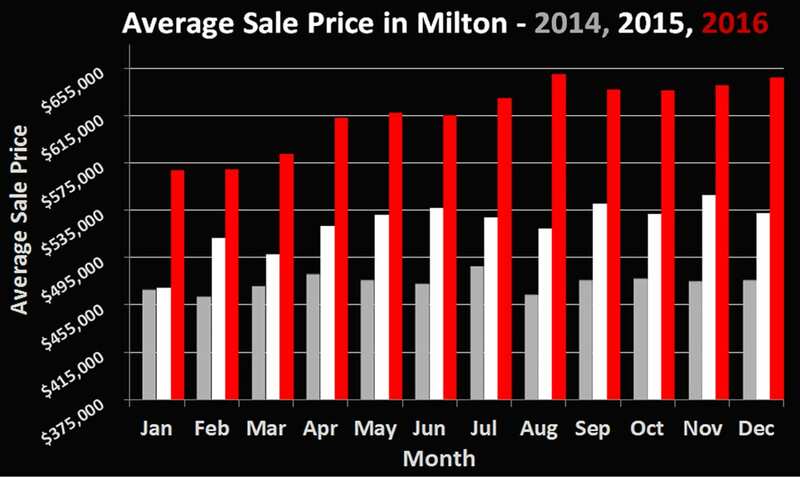 When looking at 2016 as a whole, the average price of a home sold in Milton was $617,100 (up 17.7% from 2015). Overall transactions increased in volume to 2392 units, up 4.2% units from the 2015 figure. Overall 2016 has been the strongest year in real estate in more than 25 years. One thing to note about the upcoming year is that the typical “hot spring market” we see every year should be less of a factor. Typically buyers are less active in December and January, however this year bidding wars in December and early January have been as intense as at any other time last year. If you’ve been considering waiting until the spring market, it may be a good idea to reconsider as inventory levels are extremely low.